It remains to be seen when Clayton Kershaw will throw his first pitch on American soil this season. As of Thursday, 74 pitchers were on the major-league disabled list. Only two of them opened the season in Australia. Those three Atlanta Braves pitchers who damaged elbow ligaments in spring training and faced Tommy John surgery? Those 19 pitchers from the AL West who landed on the DL, including five from the Oakland Athletics and four each from the Texas Rangers and Los Angeles Angels? All were also on U.S. soil. Which isn’t to say that the Los Angeles Dodgers’ trip to Australia is blameless for injuries to right-handed reliever Brian Wilson and, in particular, left-handed starter Clayton Kershaw. In fact, the debate over opening in Australia would be considerably shriller if Kershaw or even a lesser pitcher had walked off the mound at the Sydney Cricket Grounds with a major arm problem. Even then, no one could have definitely said, "A-ha! The trip caused all the trouble." Predicting pitching injuries – and preventing them – is an inexact science, to say the least. In this case, it’s at least fair to ask whether pitching Kershaw in Australia was an unnecessary risk, elusive as the answer might be. We’re talking, after all, about the best pitcher in the game, the Dodgers’ newly minted $215 million man. And now, just another pitcher on the DL. Kershaw, 26, is sidelined with inflammation of his left teres major muscle as the Dodgers begin their home schedule this weekend against the San Francisco Giants (Saturday’s game will be televised on FOX Sports 1 at 4:10 p.m. ET). Dodgers pitching coach Rick Honeycutt, in a conversation with the team’s beat reporters Wednesday, left open the possibility that going Down Under contributed to Kershaw going down. But Honeycutt also made it clear that he could not pinpoint with any degree of certainty the genesis of Kershaw’s problem. 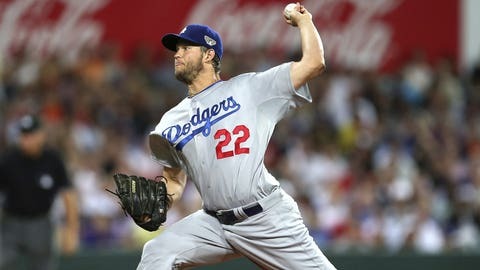 Frankly, the bigger question is how long Kershaw, the defending National League Cy Young Award winner, will be sidelined; his injury is as tricky for a pitcher as a hamstring problem is for a position player. The Dodgers say that Kershaw will continue throwing at a "submaximal" level for the next two or three weeks, then be reevaluated. The reason he can’t throw harder is because his injury likely was caused by an increase in velocity; the teres major is a muscle in the back that propels the shoulder forward. San Diego Padres right-hander Andrew Cashner missed two months with a similar problem in 2012, a strained latissimus dorsi. Maybe Kershaw will return in a shorter amount of time, maybe not. The lat is a bigger muscle than the teres major, but the two lie next to each other and perform the same function in a pitcher’s mechanics, specialists say. The bottom line is that Kershaw, after throwing a career-high 259 innings last season, including playoffs, was at greater risk from the start. Pitching in Sydney on March 22 only increased that risk; the Dodgers knew as much and considered leaving Kershaw in Arizona, according to published reports. Playing it safe probably became less of an option when right-hander Zack Greinke, the Dodgers’ No. 2 starter, suffered a right calf strain that knocked him out of the trip. Then again, Kershaw might have pitched in Australia even if Greinke had stayed healthy. How much can a team protect a pitcher, anyway? The Dodgers were not going to be reckless with Kershaw, not going to start him in three of the team’s first six games, even though interruptions in their schedule would have allowed it. But Kershaw was going to pitch at some point; that’s his job. Honeycutt raised the question of whether baseball should have scheduled the trip differently, saying, "I don’t think enough thought was put into the process." But he also said that Kershaw "could have had seven starts and still have had soreness." Kershaw, it turned out, made only four Cactus League starts before throwing 102 pitches in 6 2/3 innings against the D-Backs. Wilson, who has undergone two Tommy John surgeries, did not work as much as he normally does in the spring, an issue that might have led to nerve irritation in his elbow even if he had not pitched in Australia. The D-backs, meanwhile, have not publicly cited the ramped-up spring schedule for their own pitching injuries. Left-handed starter Patrick Corbin required Tommy John surgery after feeling discomfort on the last three of his 91 pitches during a Cactus League start on March 15. Some D-backs players grumbled privately that it was too much, too soon, but again, who could actually tell? Right-handed reliever David Hernandez also required Tommy John. His discomfort surfaced in mid-spring; he, too, never made it to Australia. Kershaw’s injury is not season-ending or career-threatening, and perhaps it will even prove something of a blessing, helping preserve his arm for a potential World Series run. The Dodgers are 4-1 without him thus far, and it remains to be seen whether any of the other NL West contenders are good enough to take advantage of his absence, even if it lasts two or three months. No one ever wants to see a pitcher hurt, particularly one of Kershaw’s caliber. 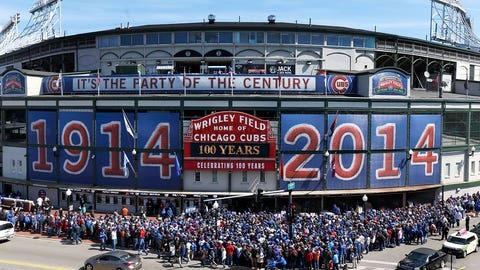 But the lesson of the spring, sadly, is that a pitching injury can happen any time, at any place. Kershaw’s injury happened in Australia. Six dozen others happened in Florida and Arizona. The wheel of misfortune keeps spinning, and no one can predict where will stop.